My care has been a challenge from the moment I was diagnosed. My parents paid for me to see a neurologist privately, someone recommended by a friend. He was fantastic during my private consultation, taking time and effort to explain MS and ordering further tests to confirm what sort of MS I had. He agreed to take me on as an NHS patient but I’d have to travel 20 miles to see him. The difference in his care when I wasn’t paying for it was astonishing! He barely looked up from his desk and fobbed me off with a neurology nurse who knew next to nothing about MS and didn’t seem sure why I was seeing her every 6 months. In frustration, I asked my GP to refer me locally and I started seeing a fantastic MS Nurse Specialist. The neurologist I saw was hopeless though and it turned out my original MRI scan, used in diagnosis, had been lost. This meant there was nothing to compare a new scan to but she ordered one anyway. The scan never happened; an appointment never materialised. I didn’t see a neurologist for more than a year and it turned out the one I had been seeing had left the country or something so I was referred to yet another Neurologist. He ordered another MRI scan which I actually had but at no point were the results discussed with me so I have no idea what was going on in my own body. Was my MS active? How much damage has been done? 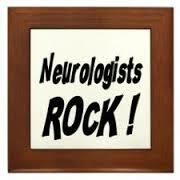 While all this neurology tennis was going on I experienced huge relapses and was never sure where to go for treatment. For example – I had a worrying bout of Optic Neuritis (ON) and went to the Eye hospital, and they had absolutely no idea what it was. I had to tell them I had MS and that’s why I thought it might be ON. The same thing happened at the GP when I went deaf in one ear, initially told I’d damaged it but no link with MS was made. Steroids are used to treat relapses because they shorten the duration and speed up recovery. I was only offered them once and wonder whether my mobility would be so bad if I’d taken them more. My balance deteriorated over night so I need 2 sticks to walk. Was this a relapse and would steroids have restored some or all of my balance? I told the latest neurologist I thought my condition had become Secondary Progressive MS as I don’t have relapses but have got worse. He seemed happy to slap that label on me without further investigation. Since Disease modifying drugs are only used in Relapsing and Remitting MS those with progression have few treatment options left. This means there’s nothing more that can be done so welcome to the MS scrap heap! I begged to try Fampyra for years, a pill that can help improve walking but have been fobbed off so many times and promised I’m “at the top of the waiting list.” Apparently I’ve missed out as NICE have now declared that Fampyra is not a “cost-effective use of NHS resources”. I will now have to pay privately to get the “free” trial, which is not a cost effective use of my own resources! I have two young children who need their Mum to be mobile. It would improve all our lives enormously. I get support and advice from social media so that’s where I go for help these days which can’t be right can it? I found out from facebook that contraception options can help women with MS. Surely the neurologist in charge of my care should know more than facebook and Twitter!